From a reinterpretation of adventure holidays to shirking online travel giants, travel trends in 2018 are about responsible, original and one-of-a-kind experiences. And every trend points to projects abroad being a crucial piece of the pie. According to the Adventure Travel Trade Association, fewer people are seeking traditionally adrenalin-pumping adventure activities in 2018. While activities such as bungee jumping and skydiving may be taking a nosedive, travel fans are reinterpreting what adventurous travel looks like. An increasing number of people are saying that personal growth and immersive culture are the most important aspects to them in travel adventures in 2018. American Express Travel also says that learning about new cultures is the top travel goal for 72% of people in 2018. Volunteering abroad is the perfect way to become immersed with local people and cultures, while personal growth from such experiences comes in more ways than one, from learning new skills to interacting with a raft of new people. Travel experts have been noticing how solo travel has been on the increase over the last few years. In fact, Google Trends has seen a steady increase in searches for solo travel over the last ten years. People are increasingly comfortable with travelling alone and realise the positives that travelling without a companion can bring. In particular, solo travellers can be more open to having new experiences, meeting new people and seeing where the wind takes them. In addition to this, American Express Travel has found that 53% of people are looking for a social travel experience with like-minded travellers. As a result, travel experiences where people are travelling from their home country alone, but have the opportunity to meet with and interact with many other people, is a big trend in 2018. Finding volunteer projects abroad is ideal for this, where like-minded people from all walks of like find themselves helping out at the same project. The Association of British Travel Agents (ABTA) says that responsible tourism is the most dominant theme in travel for 2018. Travellers are looking for ethical tour operators who are committed to helping rather than harming wildlife, people and communities through travel experiences. In fact, ABTA research shows that nearly 70% of people believe travel companies should ensure their holidays help the local people and the local economy. Volunteering with an ethical volunteer travel company is therefore a logical conclusion many travellers will be coming to in 2018. With increasing awareness about the principles of volunteering abroad, choosing a volunteer travel company that is genuinely ethical is something travellers are becoming more discerning about. For example, it’s important to look for companies who do not work with orphanages, lion breeding programmes or include elephant rides as part of a programme. Distinct from responsible tourism, current trends in sustainable tourism revolve around calling a halt to over-tourism. Ensuring countries and destinations get the best benefits from foreign visitors without damage to local environments and cultures is crucial. It’s becoming more important to individual travellers’ too, as 52% of people now say sustainable tourism is important to them. In practice, this means fewer travellers are interested in luxury travel, while the most successful travel experiences are made up of genuine partnerships with local companies that consider the impact of tourism at a local level at every stage of a journey. Doing something useful for local people, projects and economies while you travel by volunteering is a great way to achieve something closer to a two-way relationship while travelling in 2018. Embarking on travel adventures outside of traditional peak seasons can also help. Trips taken by multiple generations in a family has been a booming trend in the last year and it looks set to increase in 2018. While multi-generational trips have been more dominant for a while, so-called ‘skip-gen’ travel will become even more popular too. This typically involves grandparents taking their grandchildren away on holidays, which are increasingly long-haul, once-in-a-lifetime experiences. With time and money on their hands, grandparents are taking the time to have adventures they’ve never had time or opportunities to embark on previously, while spending time with younger members of the family. What better way to do so than take the grand-kids away on volunteering abroad experiences just before they head off to university or into the world of work? The trend of living like a local has exploded in recent years, helped by the mammoth rise in Airbnb accommodation and a myriad of ways people are finding to get off the beaten track when travelling. The trend is here to stay in 2018. According to Trekksoft, at least 80% of travellers are saying local and personalised travel is the most important thing to them for their 2018 travel experiences. 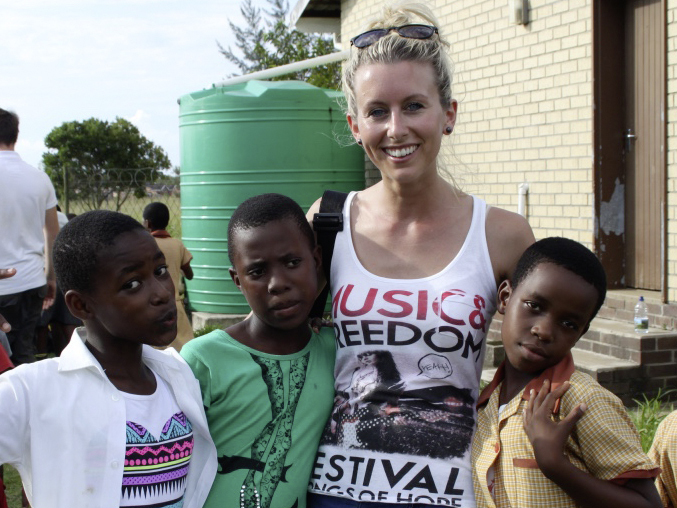 Volunteering abroad is ideal for finding local and personalised travel experiences. Ethical volunteer travel companies will work with locally run projects, giving volunteers the chance to become immersed in a community while giving something back to the local economy. – Travelling local is a trend, and it doesn’t get much more local than building houses for vulnerable communities in rural Swaziland. Although the internet isn’t going anywhere, travellers from all generations are starting to turn their backs on travel portals in favour of speaking to travel experts who know their stuff instead. As people seek original travel experiences and bespoke opportunities not everyone knows about, they’re seeking advice from real people who know all about the travel experiences they’re selling. The New Travel Reality by Generation report finds that Millennials in particular prefer the personalised travel booking experience they receive from knowledgeable expert travel consultants. This is where small travel operators are shining through in 2018. Volunteering abroad makes total sense in this context too. Booking a travel experience through a small, ethical volunteer travel company will mean the company has direct connections with truly worthwhile projects abroad, that few other big and small travel companies have access to. Digital nomadism is rising and flexible work/play opportunities are hitting more and more offices worldwide. With the ability to work from a laptop anywhere in the world and flexibly available vacation time, an increasing number of travellers are planning extended vacations. Gone is the annual two-week holiday on a beach. With travellers now easily able to take a month to a few months off work at a time, people are planning life-changing trips that incorporate different elements. Building a volunteering section into an extended vacation is ideal for getting more out of a trip away from home. During 2018, new and established airlines are shaking up long haul flights, making them more readily available and cheaper. With a number of new long-haul and low-cost routes opening, it’s easier for travellers to reach far flung parts of the world to take part in the perfect projects abroad for them. Just some of these new routes include Europe to Cape Town flights on Air France’s new low-cost airline Joon, while airlines such as Norwegian are continuing to ramp up their Europe to Asia flight services. 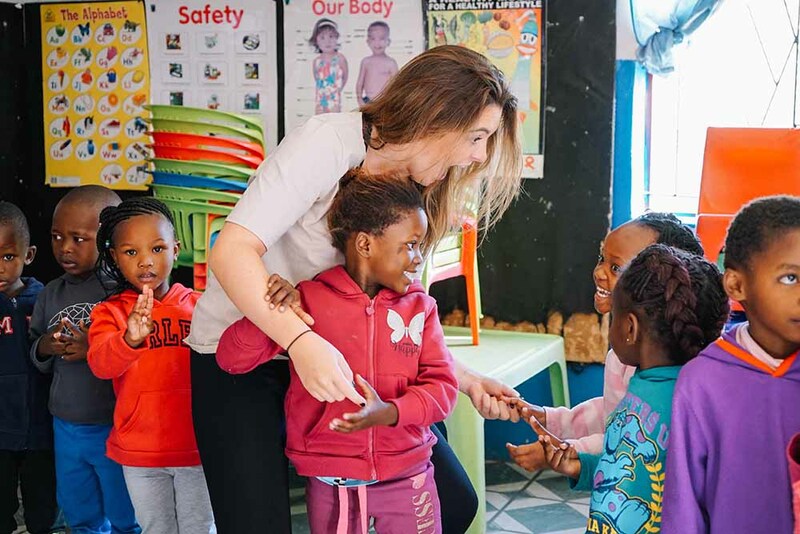 The most compelling travel trend in favour of volunteering abroad in 2018 is the fact that voluntourism is experiencing a massive global surge! In travel trends reports across the board, voluntourism has been noticed and is predicted to continue rising throughout 2018. In a survey by Marriott Rewards, 84% of Millennials said they would travel abroad to participate in volunteer activities. 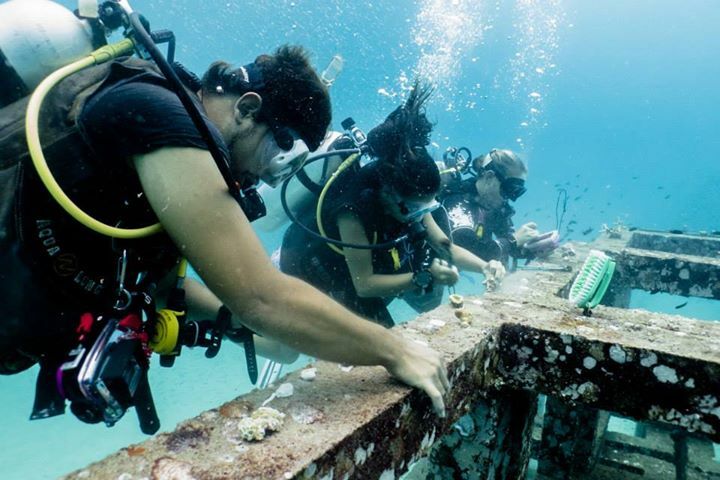 Volunteer projects abroad don’t just give travellers the opportunity to give back to the country they visit. 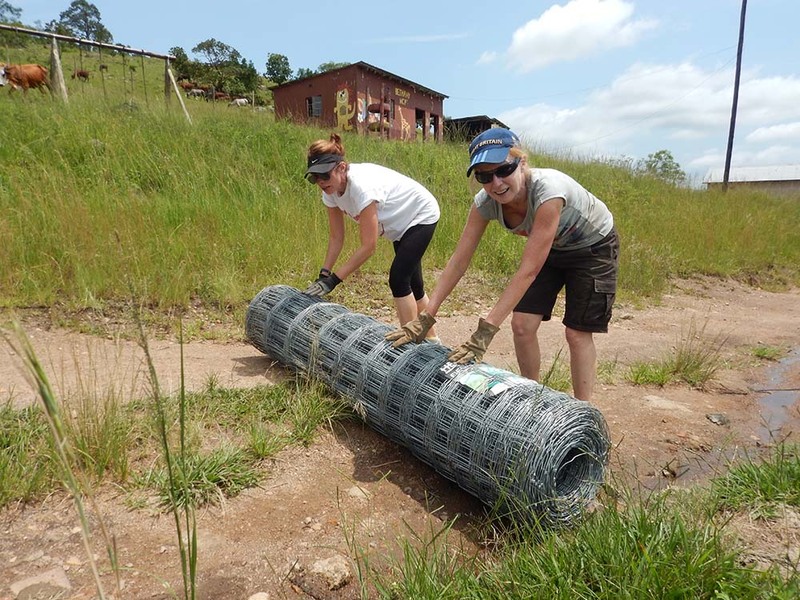 Volunteering typically takes place over four or five days of the week, leaving a couple of days a week to add on bespoke travel experiences, from safaris to bungee jumps. Travel to Grow has been working hard to deliver all the elements travellers are seeking from volunteer projects abroad. We think being immersed in local cultures and having contact with local people is one of the most important things in relation to any travel experience. These experiences will stay with you long after you return home, and will also give you new insights into the world around you. We’re an ethical volunteer travel company, meaning we only partner with established projects with responsible practices. We do not work with orphanages, lion breeding centres or organisations that condone elephant rides. As a small company, we know all the projects abroad we work with personally and have spent time with each and every one of them. As a result, we provide a personal service to all our volunteers, providing in-depth information and helping potential volunteers find projects abroad that are just right for them. Many of our volunteers arrive at our projects alone and leave with dozens of friends, new skills and a reinvigorated way of looking at the world. Our volunteer experiences are designed to grow volunteers and the countries they visit. We don’t think travel has ever had such a long-lasting impact.